​Growing up in Haiti, Patrick Jerome has fond memories of his aunt coming to visit from the countryside and regaling him, his siblings and his friends with her colorful true life tales. He discovered his own powerful gifts for storytelling at age eight when his aunt left after a summer visit and he began regaling everyone with his own fictional yarns based on the world around him. Several decades later, the internationally acclaimed independent filmmaker continues to impact people with dynamic narratives from stories that spark his own freewheeling creativity. A longtime staple of Boston's thriving arts community, Patrick is also the Founder and Executive Director of the Boston International Film Festival. Since launching his career as a producer and director with the real life based drama Deportation in 2001, Jerome has written and directed the feature length films Holla At Me (2007) and Open Vacancy (2012) and the short films Day By Day (2012) and The Last Delivery (2015). He has also served as executive producer on the 2008 film Walls Have Ears and Assassin's Bullet, a 2012 drama thriller starring Christian Slater and Donald Sutherland. As producer, director and writer, he currently has one feature (Beyond Control) and several shorts (A Time To Tell, 100 Yards Away, For Love or Money) in post-production. After enjoying a successful run at the AMC Loews Boston Common 19 and designation as an "Official Selection" of the 2015 Boston International Film Festival, Patrick's critically acclaimed feature Against The Jab is now available for rental or purchase on a wide variety of platforms, including Amazon, iTunes and YouTube On Demand. Written, directed and executive produced by veteran independent filmmaker Patrick Jerome, the film stars Leon as radio personality "DJ Mike," host of a Boston based prank phone call driven radio show called "Jab Stab." Other cast members include Scott Neufville, Clara Lago and Lonette McKee, with Jerome himself making an appearance as Detective Paul. In speaking about Against the Jab, Patrick said, "Most of my films are based on true stories or inspired by real events that spark my creativity and desire to build a unique narrative." 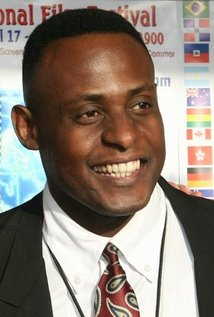 Overcoming a lifetime of challenges, the screenwriter, director and producer's stranger than fiction journey from being a wanted man hiding from the government in Haiti to one of America's most respected independent film voices could make a powerful film (and autobiography) of its own someday. Born in Port-au-Prince, Patrick began singing in his family's church choir at age seven. Growing up, the spiritual joys of home, church and singing became a powerful foundation for his later artistic expression of political and social views that were grounded in the culture of his generation - but which ultimately spoke to all Haitian people. Yet from the start of his official music endeavors, Patrick endured pressures by the government, which censored the revolutionary ideas in his original lyrics. Persevering through the oppressive political climate, Patrick emerged with his debut song and video "Slaves in the Batey," which became major hits in his homeland. The production and success of the clip sparked Patrick's deepening interest in becoming a full-fledged filmmaker. Cinema for him was a natural extension of his musical artistry to articulate his philosophies in an entertaining fashion. Film also enticed Patrick because of its pictorial dynamism, narrative structure and emotional impact to showcase his ideals with more immediacy. After receiving training and fostering relationships with established Haitian filmmakers, Patrick produced and directed his debut feature film, Rezo San Pitye (Ruthless Gang). The provocative film touched on the unstable Haitian system of rule and depicted the insecurity of its citizens. Adding to the controversy of the films theme was the 1991 military coup of the Haitian government just one week after Rezo San Pitye was released. The national attention the film received was, he says, "like a bomb going off," and Patrick, wanted for treason, remained in hiding for several years - until he fled to the U.S. in 1993 and was granted political asylum after reaching Boston, where his father lived. As he worked towards establishing himself as a filmmaker in the States, Patrick secured two unique "day jobs" that provided the opportunity to be exposed to countless fascinating real life stories. His English language skills led him to become a case manager for local Haitian refugees with the International Rescue Committee (IRC), When Haiti closed its refugee program, Patrick secured a position as a case worker for the American Red Cross, helping people of all different cultures who needed emergency assistance. "That's what led me to make my first American film, Deportation," he says. "I heard so many stories of deportation cases working for the Red Cross and went to court on behalf of a lot of people. In the film, a man is facing drug charges, keeps getting incarcerated and put on the deportation list, but his girlfriend is an American lawyer fighting to keep him in the U.S." The film played at numerous prestigious festivals, including the Los Angeles International Film Festival, the New York International Film Festival and the Las Vegas International Film Festival, helped establish Patrick as a powerful independent visionary and make him an important voice in the Boston arts community. In addition to filmmaking and working to establish and now run the Boston International Film Festival, he has performed in the U.S. and Canada, appearing at such venues as the Strand Theater, John Hancock Hall and Boston Public Access Television.